Good. Ex Library CD with usual stamps/stickers. Minor surface scratches to the disc. Damaged case. Most items will be dispatched the same or the next working day. Good. Minor surface scratches to the disc. Most items will be dispatched the same or the next working day. Enya/Ryan; Enya/Traditional; Traditional. Fine. In fine packaging. Enya-And Winter Came by Enya. Enya/Ryan; Enya/Traditional; Traditional. Very Good. In very good packaging. Enya-And Winter Came by Enya. 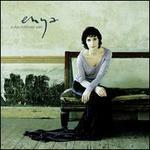 Excellent album of music by Enya. Definitely sets one up for the Christmas season with a variety of uncommon Shristmas and seasonal songs. Beautifully done.